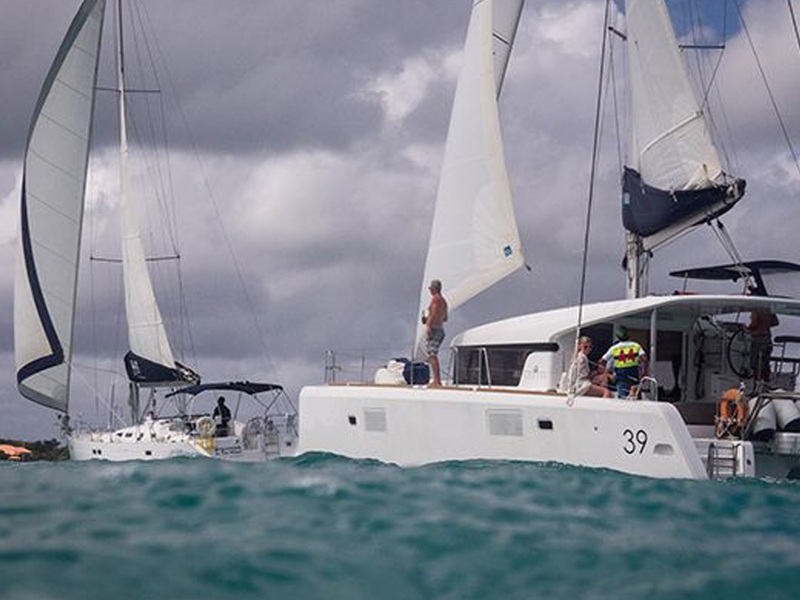 THE LAGOON39 IS one of the most successful offshore catamarans of all time. This boat appeals on several levels. It is by design intended to be easily and efficiently handled offshore and yet it is still extremely comfortable. This vessel offers both speed and stability with lots of space on board. 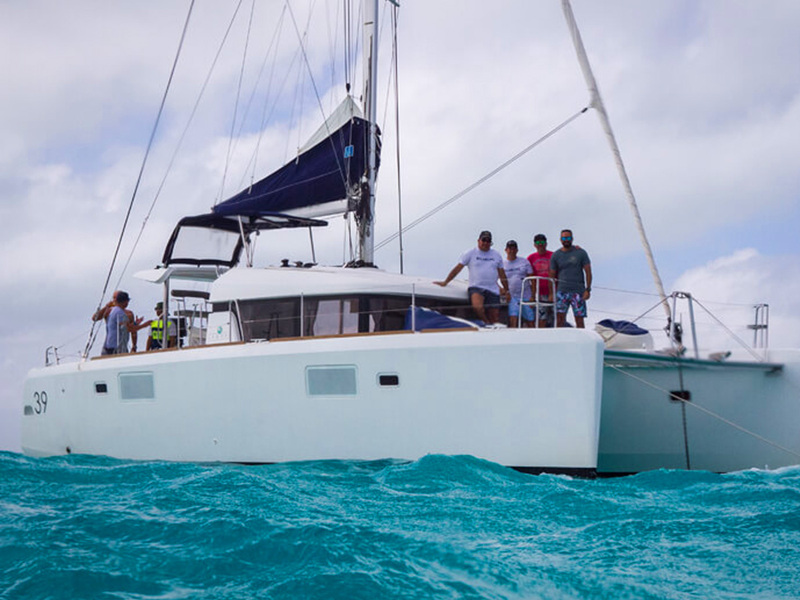 The Lagoon 39 has space for Private Charter Parties of up to 20 passengers comfortably. 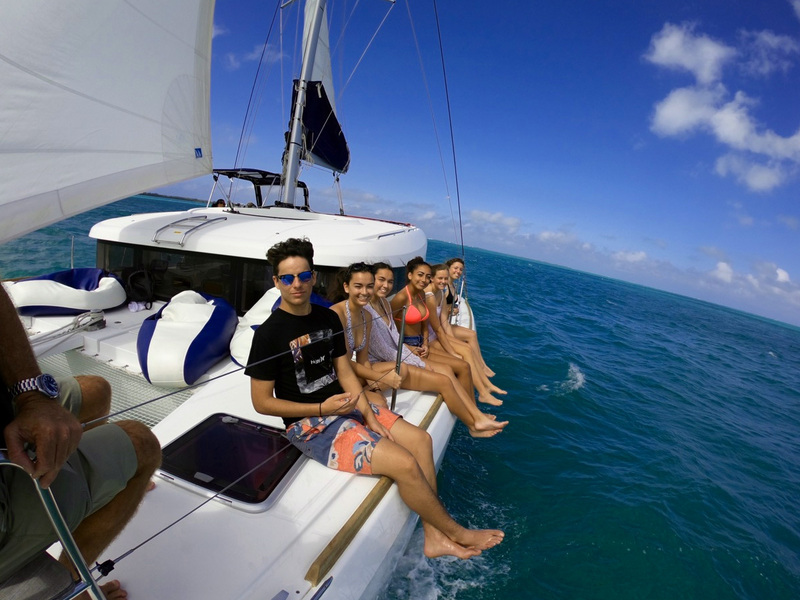 The catamaran is used to provide a very relaxed excursion, spending more time at each spectacular location, with Charters ranging from 3-8 hours duration. 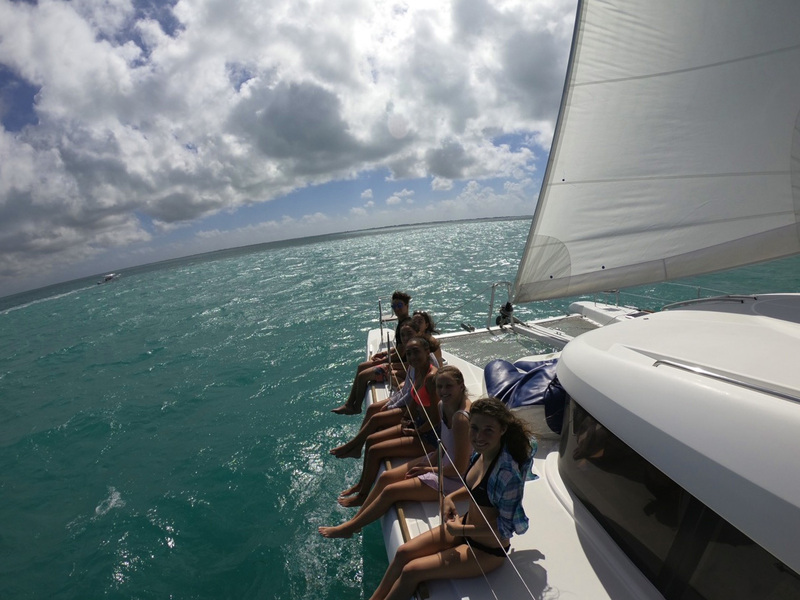 The vessel is also available for multi-day charters as it can sleep up to 8 guests. Visit the neighboring Island of Cayman Brac, Little Cayman or even Cuba on these multiday cruises. 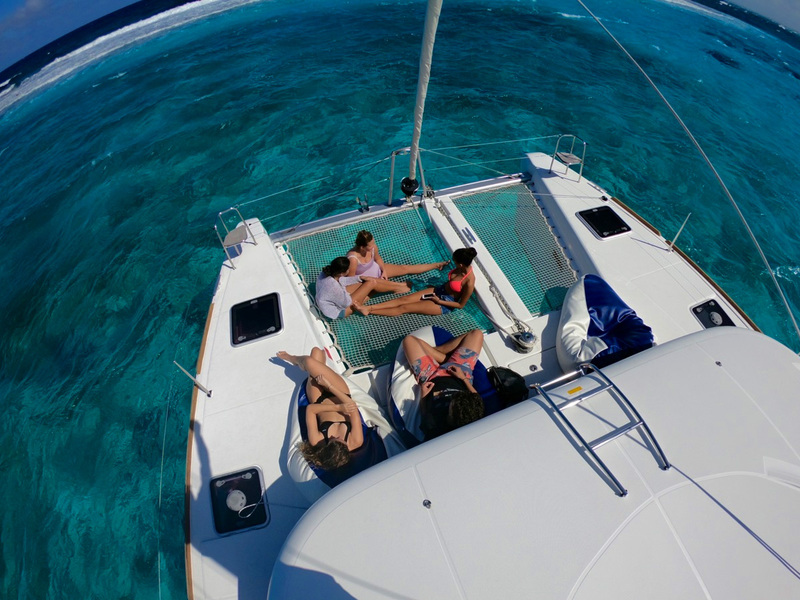 Enjoy a luxurious 4 hour charter visiting the Sting Ray City Sandbar with 4 ft deep waters or the original Stingray City were you enjoy full interaction with the Rays in 10 ft of crystal clear waters with snorkeling gear and floaties with as extra an abundance of tropical fish. 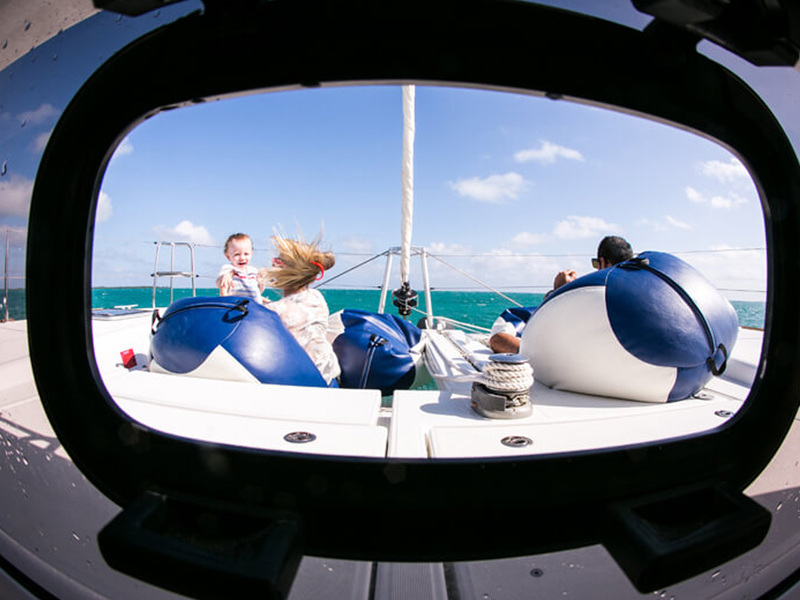 Other stops can include the Coral Gardens, Barrier Reef and Starfish Beach where we lounge around in knee depth water checking out the sea stars. Typically we stay off the beaten path with 2 stops on the half day. Alcoholic drinks can be provided at cost or bring your own! 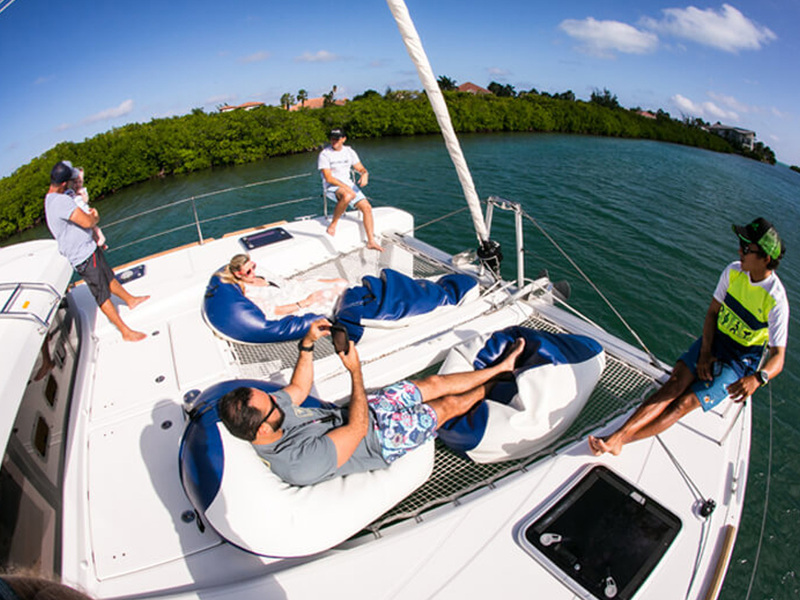 Enjoy a luxurious 4 hour charter visiting the Sting Ray City Sandbar with 4 ft deep waters or the original Stingray City were you enjoy full interaction with the Rays in 10 ft of crystal clear waters with snorkeling gear and floaties with as extra an abundance of tropical fish. Other stops can include the Coral Gardens, Barrier Reef and Starfish Beach where we lounge around in knee depth water checking out the sea stars. Typically we stay off the beaten path with 4 stops on the full day and a at one of the beach restaurants like Rum Point or Kaibo for lunch (lunch not incl.) Alcoholic drinks can be provided at cost or bring your own!